Chances are you’ve seen Japanese art somewhere – perhaps in a museum, advertisement, textbook or maybe you’ve visited Japan and had an opportunity to experience the country’s “ARTcentric” culture up close and personal. Classic Japanese art covers a wide variety of genres. 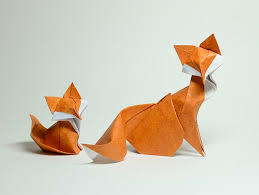 One of the most famous crafts you might have seen is Origami, Japanese paper folding. That’s how I got my start – Mrs. Matsui’s Origami (handmade paper creations) is a business I own today. But there are so many other art forms that also date back to ancient times. 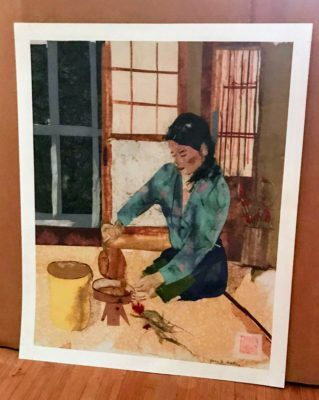 Pottery and sculpture, Sumi-e (ink painting), woodblock prints, calligraphy on silk and paper, and of course, Chigirie (or Chigiri-e) Japanese Torn Paper Collage Art are among the best-known examples. 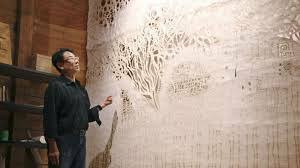 Paper making is one of Japan’s greatest cultural and artistic accomplishments. 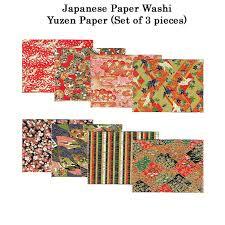 Paper is used in many Japanese art. Image courtesy of Kyodo News. So, you see, Japan is the home to a myriad of artistic styles and influences that are still immensely popular today. Within each of those genres are variations, i.e. Origami paper, which is used to dress Japanese paper dolls in brightly-colored traditional kimonos and gift wrap, which uses distinctive folds that similar to Origami patterns I’ve seen. In many cases, Japanese art forms have been practiced for thousands of years but for the most part, they all adhere to two principles: simplicity and harmony with nature. Handmade paper is so versatile it’s often the medium of choice. 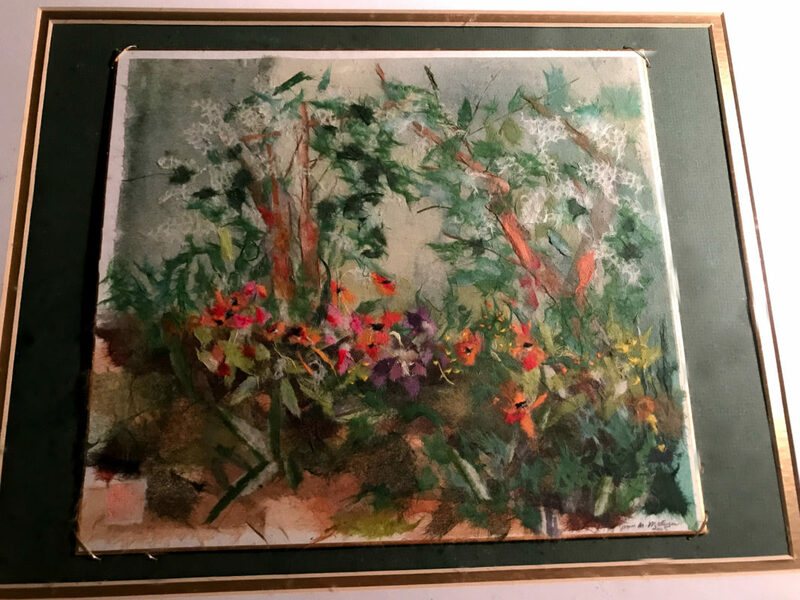 Take a class at chigirie.com and learn painting with paper. This entry was posted in Art and Travel, Art in America, Chigirie, chigirie classes, Chigirie instructors, Creative and Artistic Inspiration, Japanese art, Japanese Paper Art, Origami, Uncategorized, World Art and tagged Chigirie lessons, chiyogami paper art, Japanese art, learn chigirie, learn origami, learn paper art, washi paper art.